A Lights On tour is pretty much the only way you can get me inside the Dent Schoolhouse. I’m not good with scary and Lights ON is the only way this scardey cat can handle it. 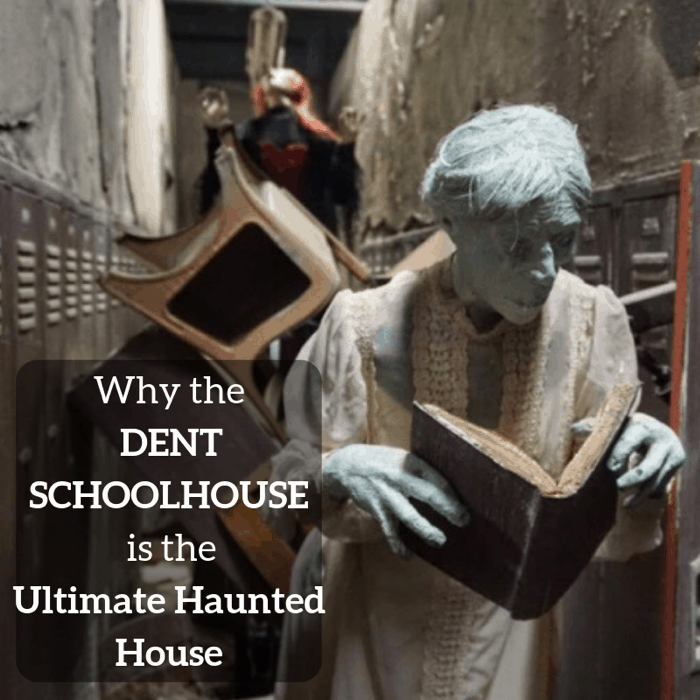 The Dent Schoolhouse is Nationally known as a top haunted house attraction and they continue to push the boundaries of creativity with new redesigns each year to keep the guests coming back each year on their toes. 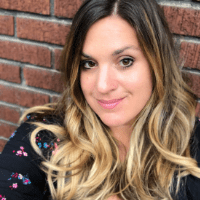 I’m a wimp when it comes to scary things but I knew that I had to face my fears when I was given the opportunity to take a behind the scenes tour of the Dent Schoolhouse. 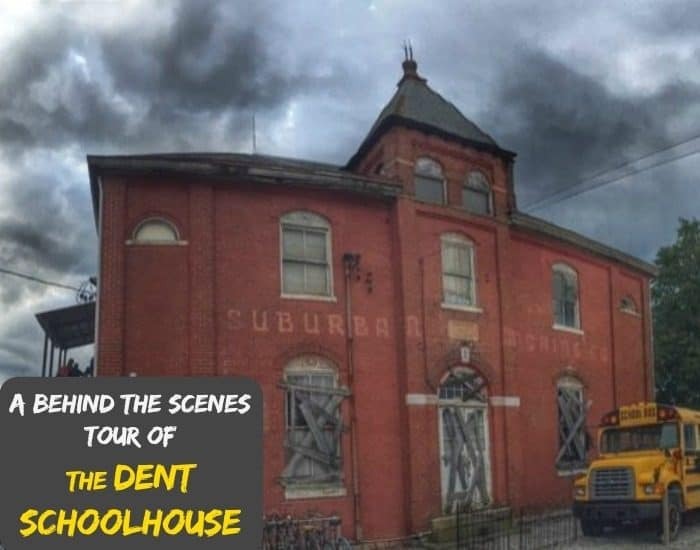 Not only is the Dent Schoolhouse known as Cincinnati’s scariest haunted house, but it’s known for being one of the top haunted houses in the nation!